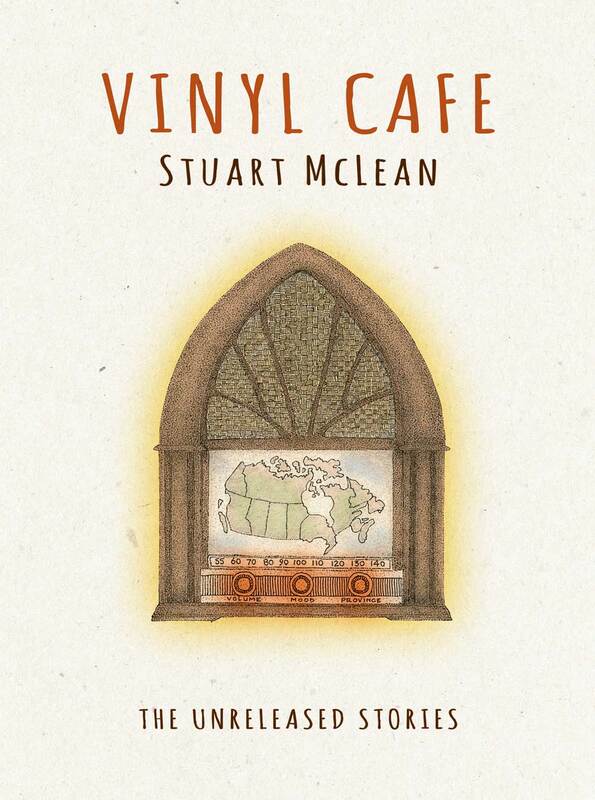 This fall, The Vinyl Cafe will release a special, all new collection of stories by the beloved – and greatly missed – Stuart McLean. The 13 stories gathered together in a beautiful 4-disc package, with artwork from long-time friend and regular Vinyl Cafe guest Reid Jamieson, are available for the first time on CD and include two brand new stories recorded at Stuart’s final Vinyl Cafe performance. The Vinyl Cafe : The Unreleased Stories invites you to laugh along with audiences from across the country as they enjoy stories about Canada’s favourite fictional family: Dave, Morley, Sam, and Stephanie. While some audiences have been treated to “Dave Crosses the Border” or “Murphy’s Bar Mitzvah” during one of the countless Vinyl Cafe tours across Canada, two stories – “Dave and the Vacuum” and “The Christmas Card” – were captured almost by accident, at Stuart’s final show in Thunder Bay on November 22, 2015. “We didn’t know this at the time, we couldn’t have imagined this at the time, but that would be Stuart’s final show,” says Vinyl Cafe Producer Jess Milton. Stuart McLean (1948-2017) was a best-selling author, award-winning journalist and humorist, and host of CBC Radio program, The Vinyl Cafe. Stuart began his broadcasting career making radio documentaries for CBC Radio's Sunday Morning. In 1979 he won an ACTRA award for Best Radio Documentary for his contribution to the program's coverage of the Jonestown massacre. 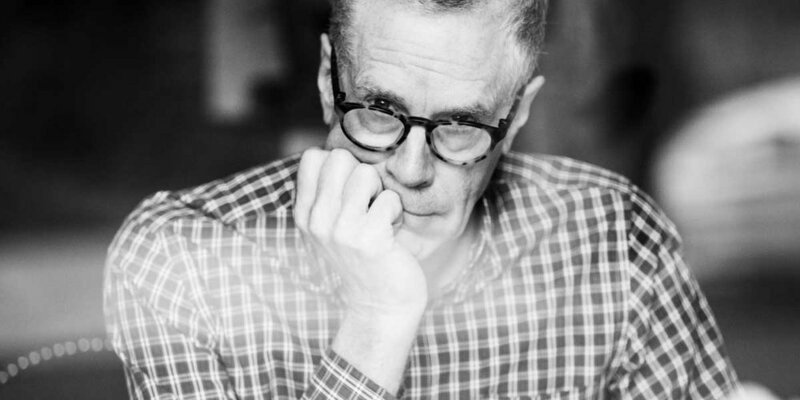 Stuart's ten Vinyl Cafe books have all been Canadian bestsellers. Vinyl Cafe Diaries was awarded the Canadian Authors' Association Jubilee Award in 2004 and Stuart was also a three-time winner of the Stephen Leacock Memorial Medal for Humour for Home from the Vinyl Cafe, Vinyl Cafe Unplugged and Secrets from the Vinyl Cafe. In 2014 he was awarded the CBA Lifetime Achievement Award. In December 2011 Stuart McLean was appointed an Officer of the Order of Canada. In 1993 Trent University named him the first Rooke Fellow for Teaching, Writing and Research. He was also honoured by: Nipissing University (Ed.D.(H. ); University of Windsor (LL.D. ), Trent University (D.Litt. ), Saint Mary’s University (D.C.L. ), University of Calgary (LL.D. ), Concordia University (LL.D.) and McMaster University (LL.D.). He was a professor at Ryerson University in Toronto and former director of the broadcast division of the School of Journalism, retiring in 2004 to focus full time on The Vinyl Cafe. Stuart served as Honorary Colonel of the 8th Air Maintenance Squadron at 8 Wing, Trenton from 2005 to 2008. From 1998 to 2015, Stuart toured with the Vinyl Cafe to theatres across Canada and the United States, playing towns from St. John's, Newfoundland to Whitehorse in the Yukon; from Bangor, Maine to Seattle, Washington. The Vinyl Cafe aired for 22 seasons and attracted a weekly audience of over 2 million people on CBC Radio, podcast, Sirius Satellite Radio and on a number of Public Radio stations in the United States. The program was also broadcast on an occasional basis on the BBC.